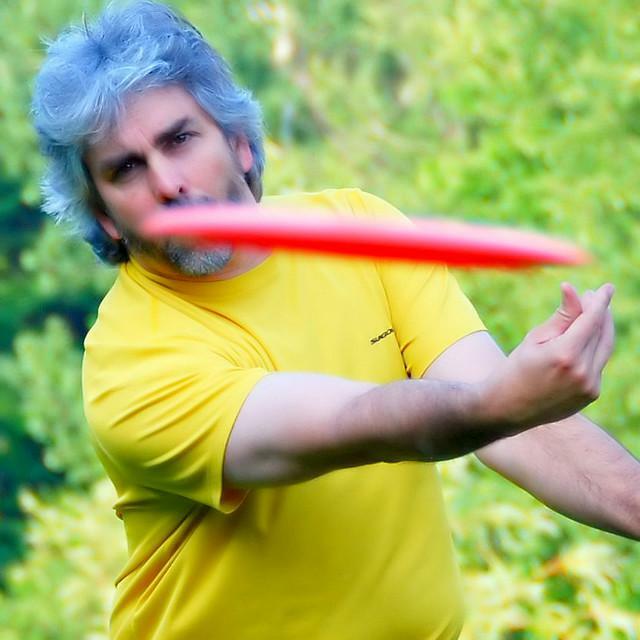 If you're not familiar with Frisbee golf, or "frolf," it's just like golf, only without the frustration of hitting a little white ball, expensive greens fees, or pompous jerks in polo shirts. The object of frolf is simple: throw your Frisbee into a designated target area, usually a basket. Sunday, May 6, The Lake Erie Arboretum at Frontier Park will host a Frisbee golf tournament consisting of 9 holes played twice. The $20 fee includes greens fees as well as beer and wings afterwards at the Greengarden Tavern (21 and over only for the beer and wings.) Proceeds benefit LEAF. Sunday, May 6 1 to 5 p.m.
at Frontier Park, Erie, Pa.
Clinic starts at 1 p.m. Frolfing at 2 p.m.